The Sony 2.1 Channel Sound Bar With Subwoofer delivers surround sound powered by 80W of power and the convenience of wireless Bluetooth and NFC listening. Key Features Stream music wirelessly to the HTCT80 soundbar from your smartphone or tablet through NFC One-touch via Bluetooth. The soundbar's S-Master digital amplifier sharpens and enriches music from any source, increasing the overall quality. With ClearAudio+ the 2.1 soundbar ensures sound has greater clarity and separation. 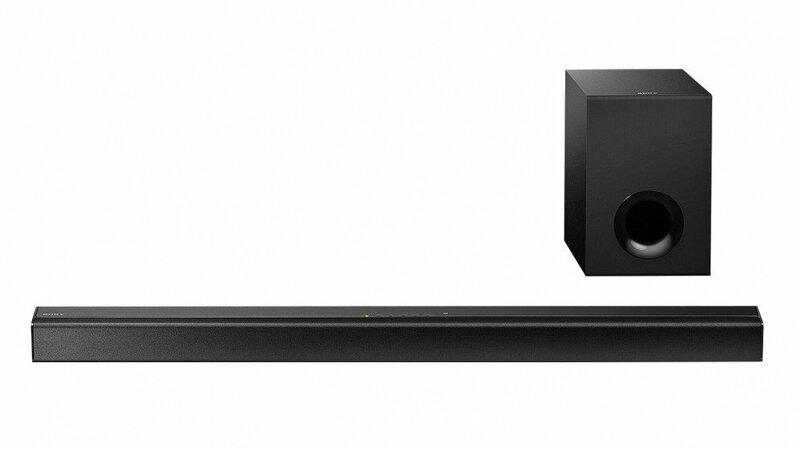 With an included subwoofer, the Sony soundbar creates a dynamic listening environment.